St. Catherine's Monastery the world's oldest Christian Monastery still in use and a UNESCO World Heritage site. 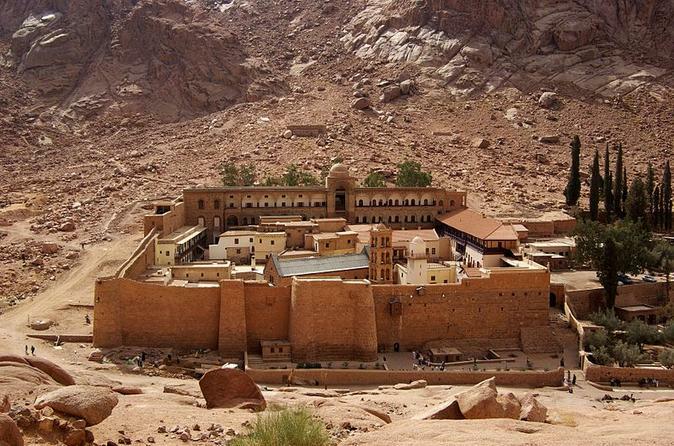 In this wonderful tour you will visit the monastery and climb the Mount Moses (Sinai Mountain) to see the amazing sunset or sunrise. A truly memorable experience! 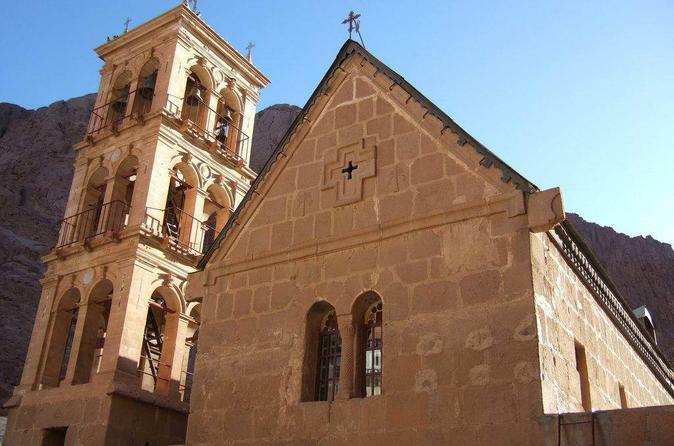 Explore the holy cities of Jerusalem and Bethlehem on a day tour from Dahab. 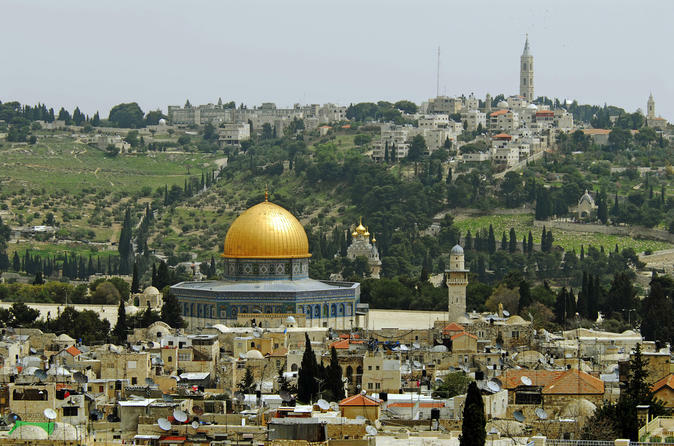 Visit the Mount of Olives, Jewish and Armenian Quarters and more. Go to the birthplace of Jesus, and drive through the Judean Mountains to the Dead Sea to float in the mineral rich waters. 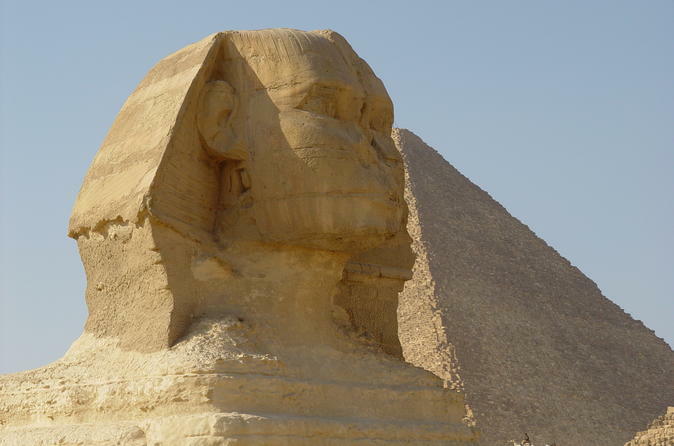 Visit Jerusalem and Petra on a 2-day tour that includes an overnight stay in Aqaba. 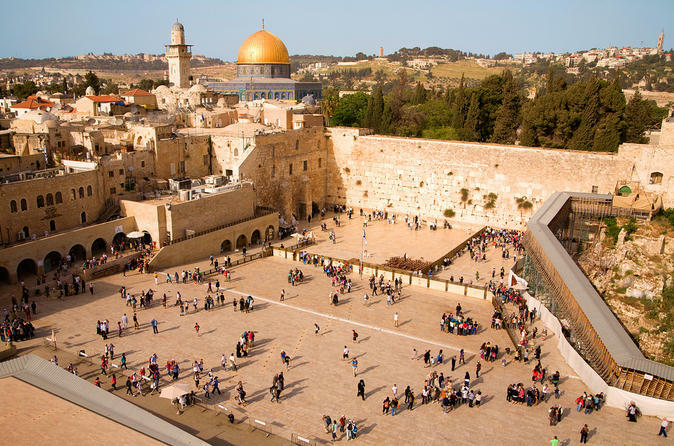 You will see some of the holiest sites in the world including: The Wailing Wall, Temple Dome of Rock, and Dolorosa which leads to the Holy Sepulcher. Then stop for swim in the salty, mineral-rich waters of the Dead Sea. Next day you'll spend in Petra enjoying a guided tour of this unique city. 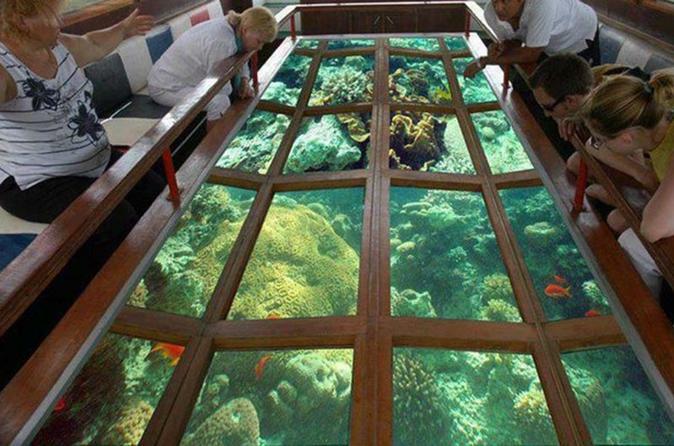 See the amazing corals and marine life of the Red Sea from inside the boat. 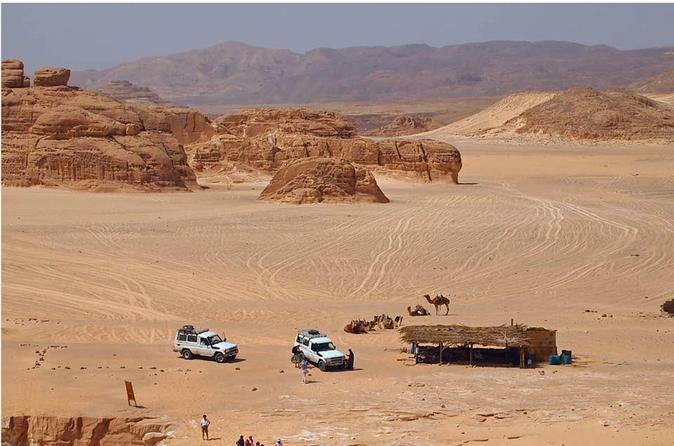 On this full day Jeep safari from Dahab you will visit a legendary Orthodox St. Catherine Monastery, walk through famous White Canyon and have a Bedouin lunch in Ain Khudra Oasis. Dahab is surrounded by great potential for adventures and off-roading in a 4x4 Jeep Adventure is the ultimate for a fast paced discovery of the surrounding beauty. Head off the beaten track away from the popular canyons and oasis around Dahab. Head to the Double Canyon, through an area of natural beauty with spectacular views and across to the highest sand dunes in Sinai, where you have the option to try out some sand-boarding. 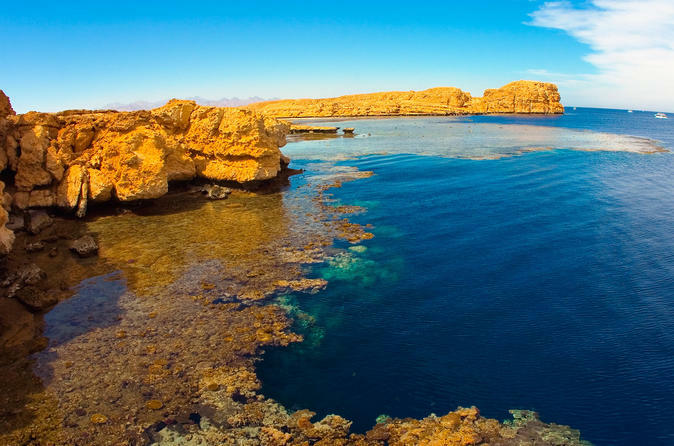 Spend an amazing day of snorkeling at the world-famous Ras Mohamed National Park. In this boat trip you will explore it's magical underwater world with a massive amount of corals and a variety of fish and sea life. 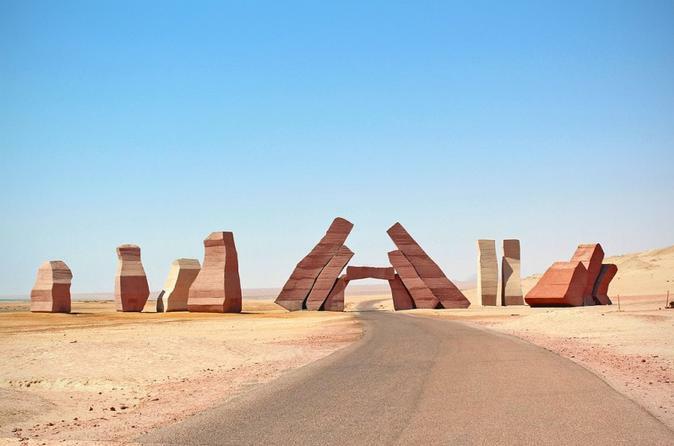 Visit the famous Ras Mohammed National Park on a full-day tour from Dahab. Travel through the mangroves to see the diversity of plant and animal life living there. 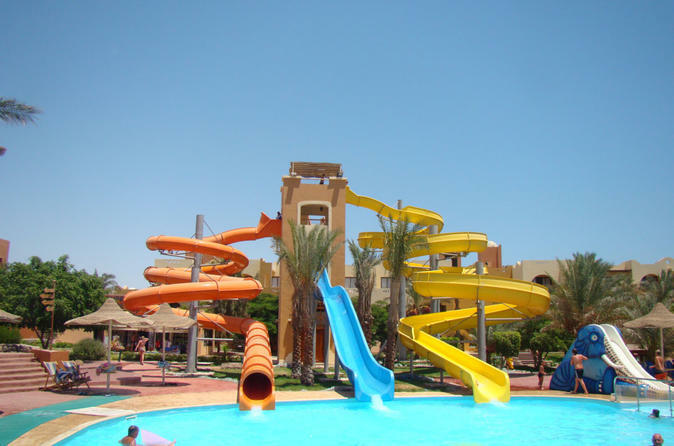 Then enjoy lunch, followed by swimming and snorkeling in the waters of the Red Sea.